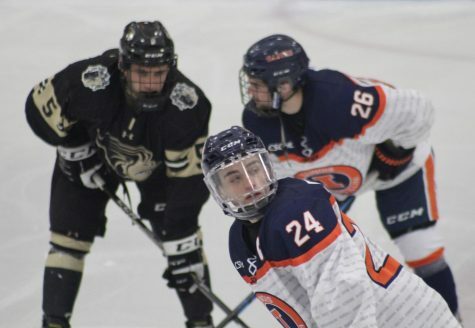 Mark Candotti calls for a pass from his teammate against Robert Morris at the Ice Arena on Nov. 2. 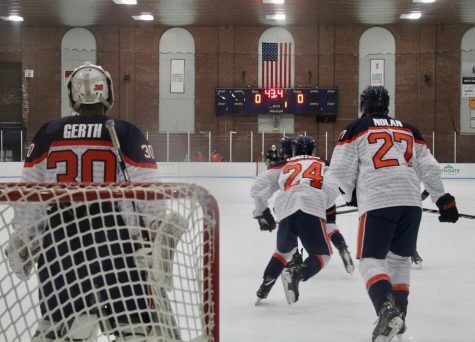 Illinois shut out Robert Morris 6-0. 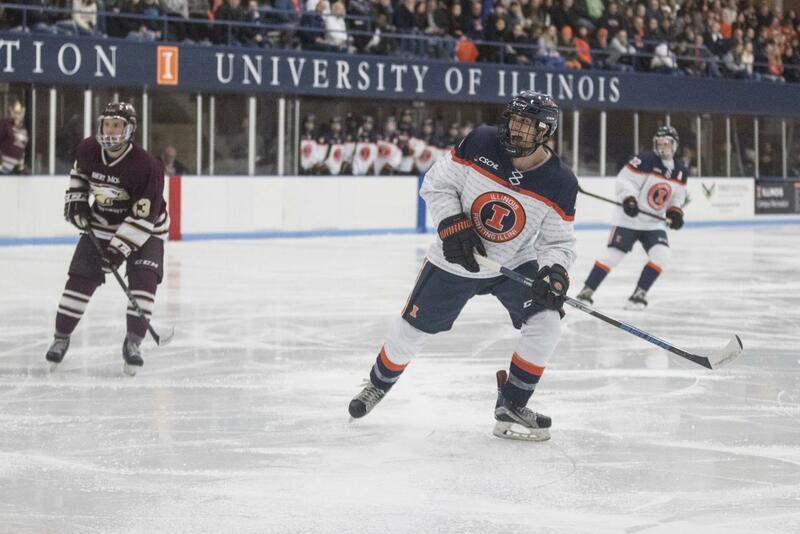 Illini hockey will be put to the test this weekend with a showdown against Lindenwood University at the University of Illinois Ice Arena. 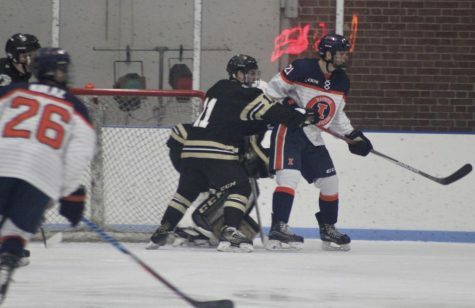 Lindenwood has been a juggernaut in the ACHA the entire season. 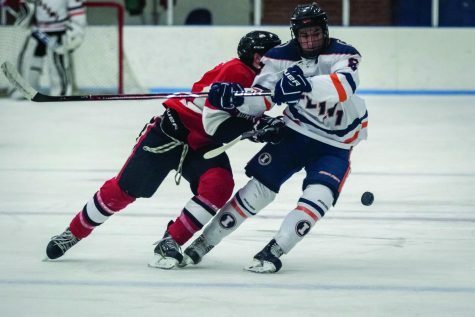 The Lions remain undefeated at 16-0 and have emerged as the top team in the nation. 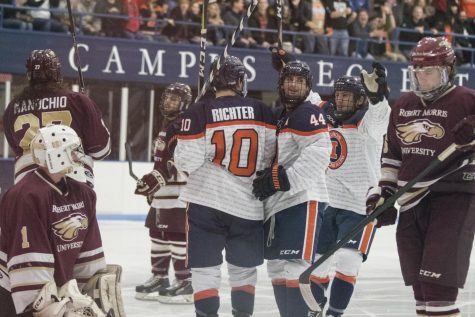 The team has scored five or more goals in 10 of those games, including a 15-0 shutout against Arkansas. Not to mention, the Lions have also won six games by five or more goals this season. 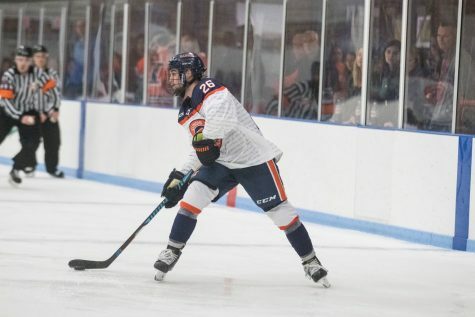 However, despite the consistent wins, the game will be the first in nearly two months for the Lions, as the team’s regularly scheduled matchup with Ohio University was canceled due to poor weather conditions. 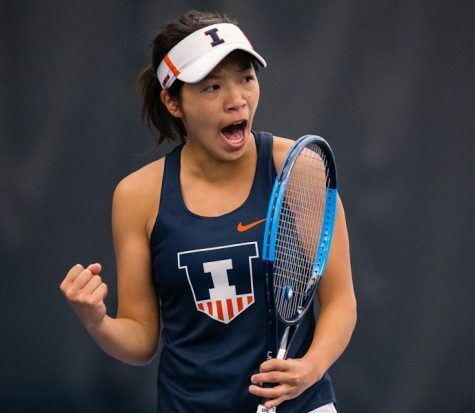 The last time they faced the Illini was at home where they dismantled Illinois in 7-2 and 6-0 victories over the weekend. 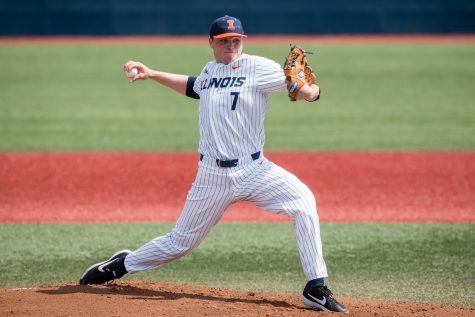 The Illini are coming off one of their most consistent stretches of the season. 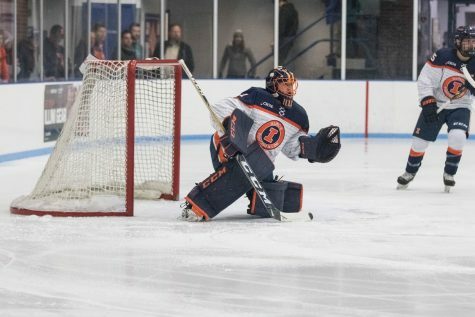 Between its 4-0 victory against Ohio University, arguably its best-looking win of the season, and its 3-2 victory against Jamestown last Saturday, Illinois has gone 3-3. 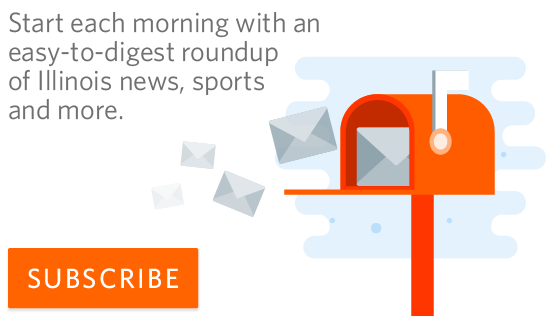 “On the whole, our first four games back, we’ve played pretty well overall. The first three games especially, I was feeling pretty well for the most part; we were just making critical mistakes and finding ways to lose games, as opposed to making small mistakes and being able to adjust and adapt and cover for those,” Fabbrini said. Fabbrini mentioned the team struggled after making several big mistakes over the course of the season. However, after the most recent victory over Jamestown, Fabbrini said he was feeling better about the progression of the season. 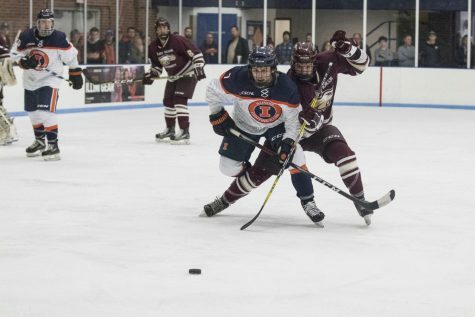 Tournament play for the American Collegiate Hockey Association doesn’t start until the end of March, but the matchup against Lindenwood serves as a measuring stick for an Illinois team that continues to struggle with finding consistency.